The relationship between short-term and long-term memory systems is an issue of central concern to memory theorists. The association between temporary memory mechanisms and established knowledge bases is now regarded as critical to the development of theoretical and computational accounts of verbal short-term memory functioning. However, to date there is no single publication that provides dedicated and full coverage of current understanding of the association between short-term and long-term memory systems. 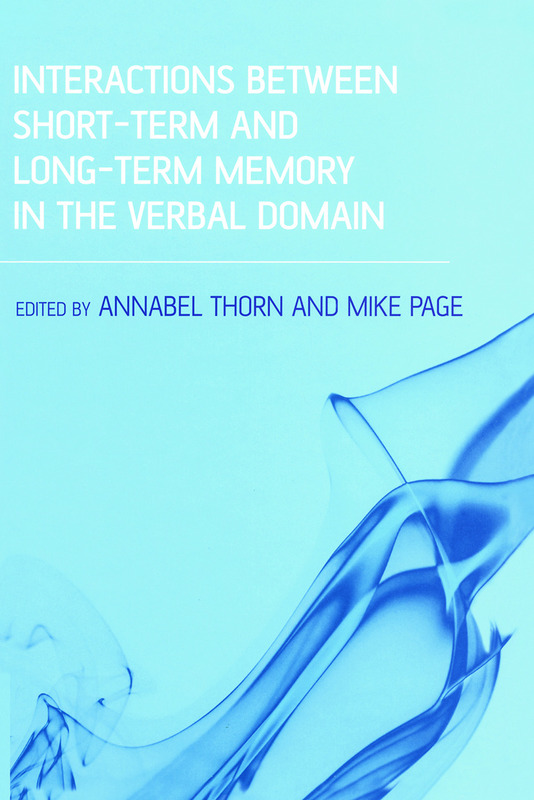 Interactions between Short-Term and Long-Term Memory in the Verbal Domain is the first volume to comprehensively address this key issue. The book, focusing specifically on memory for verbal information, comprises chapters covering current theoretical approaches, together with the very latest experimental work, from leading researchers in the field. Chapters contributed to the book draw on both cognitive and neuropsychological research and reflect both conceptual and computational approaches to theorising. The contributing authors represent current research perspectives from both sides of the Atlantic. By addressing this important topic head-on, Interactions between Short-Term and Long-Term Memory in the Verbal Domain represents an invaluable resource for academics and students alike.